Roofing renovation and installations can be a headache, especially when they don’t go as planned. 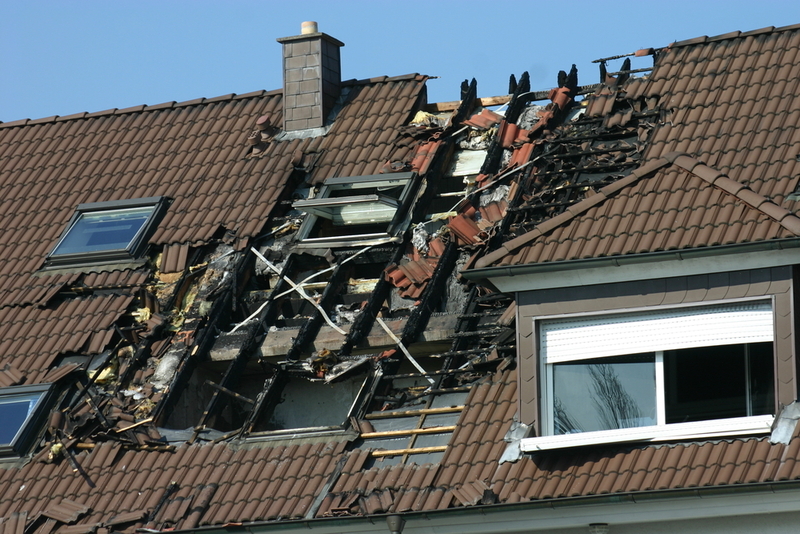 Roof replacement and repair jobs can either correct the problem totally, patch the problem for a short period of time, or not fix the problem at all. If it’s a contractor that’s made these roofing mistakes, then you’ve potentially wasted money and time. Remember, always compare quotes, check references, and you should be asking some questions before you go ahead and do business with anyone. Here are some of the top roofing mistakes you should be avoiding. There are a few areas in your home that need to stand the true test of time and harsh elements. Your roof is one of them. The following major roofing mistakes show a lack of proper roofing knowledge and should be carefully checked. This is one of the most common mistakes, but some roofers who will either forget or not care enough to install a leak barrier before installing the shingles. This could cause huge problems with skylights as a leak will develop over a period of time. In the long run, this will could also lead more damage. A lot of roofers and contractors have their own way of doing things. However, there is still a standard that needs to be adhered to. Nails that have been installed in the roof’s valleys are an indication of a roofer that’s not followed the correct process. In most cases (unless you did it yourself), roofers will not make this mistake. Some of them tend to make use of improper shingling method and take shortcuts, so be sure to check on this. As time passes, the hole created by the nails can end up allowing water direct access to the underside of the roof and straight into your attic. This can allow water to collect in the valley, which can lead to major problems very quickly. Attic ventilation goes a long way in regulating the temperature in the attic and on your roof deck. Shingles can start to show signs of damage from extremely high temperatures, making them ineffective. An attic vent can be put in for a few hundred dollars and can save you a lot of money on your electric bills in the summer too. Water behind the chimney needs to be diverted so that you don’t develop a leak. This is where a cricket comes in. The cricket is used to help divert the water away from the chimney and keep it flowing down the gutters. These are simple to install and almost mandatory in some region in order to prevent leakage problems. A poorly installed cricket can cause a lot of problems later on. The area where your roofing experiences the most high-speed winds are the hips and ridges. It’s important that special shingles are used to ensure it’s kept in place during a storm and that water consistently flows off both sides. Special shingles that are more durable and thicker should be installed as opposed to regular roof shingles. Make sure no short cuts are taken by using regular shingles when you really need a product that will stand up to the elements in your region. The starter course at the edge of the roof needs to be properly installed in order for it to work effectively. The shingles should be staggered so that water does not seep between them. Again, this small mistake can lead to massive financial implications. Be sure to get it right from the get-go. If your roof is shallow and sloping, pay great attention here. A shingled roof is designed to help channel water away from the underlying structure. However, this doesn’t make it waterproof! If the angle of the roof is too shallow, the water will not be able to flow fast enough to prevent seepage. An incorrectly installed drip edge is extremely important to prevent water from getting into areas where it can cause severe rot or discolor the siding. A properly installed drip edge can keep a roof functioning longer and also protect other areas of your home. This is a very common roofing mistake too. Poorly installed flashing can cause horrible leaks. The correct way to install flashing is to make sure there is a substrata of something to seal the gap underneath, followed by step flashing on top, which is then nailed to the deck of the roof. Take great care when laying down shingles and do not to go too quickly or get them at an angle. It’s vitally important that the nails are being driven in perpendicular to the shingles so that the fiberglass matting between the asphalt layers of the shingle does not suffer from a tear or become compromised. An over pressurized nail gun can do the same thing by driving the nail at an angle. Make sure to double check Milgard windows prices and the pressurization to ensure no nails will be driven in forcefully.